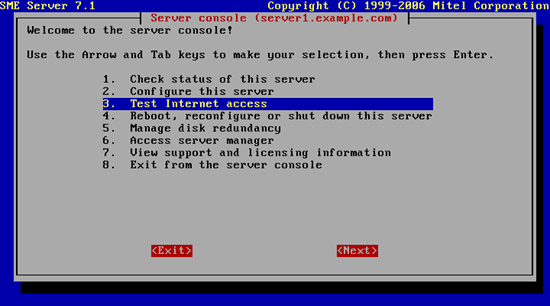 You have now completed the most of he important parts in terms of Internet connection of the server, and what we need do now is test the server configuration so the possible problems we may come across are not compounded because you have failed to configure your server correctly or forgot the cardinal sin of pluging in the ethernet port to your router. Here is what we check for at this stage. Any new installation is bound to require updates, completing this task ensures the communication level is sufficient to proceed to the next step. 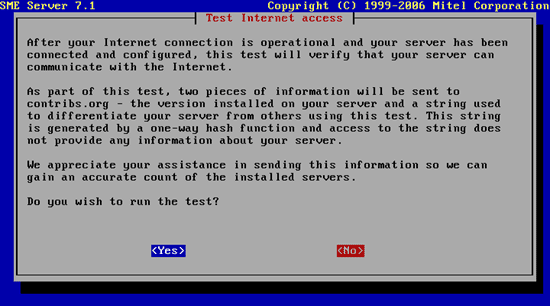 After the successful internet connection test you can select 8. 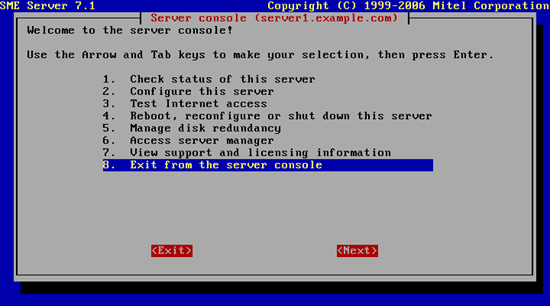 Exit from the server console and then upgrade your server as mentioned above. 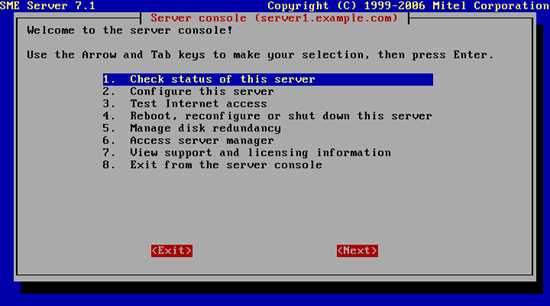 More information on Domain structure can be found here.